India hopes to ramp up mango exports by 10 per cent to 15 per cent, banking on new markets and promotions in the US, Europe, and West Asia last year. Mango exports declined by 11 per cent in 2017-18 to fetch $59 million after a staggering 34 per cent jump that earned $67 million in 2016-17. In earlier years, mango exports had remained flat at $50 million. Last year, the government promoted the fruit in the US and countries in West Asia, Europe, Africa and South East Asia through free distribution and tasting. “India’s mango exports declined last year due to lower availability for shipment on a slump in its production. We estimate (a) 10-15 per cent jump in our mango exports this year. We conducted several promotional activities last year. A number of new markets access has also been allowed which will help boost our mango exports this season,” said a senior official from Agricultural & Processed Food Products Export Development Authority (Apeda). Data compiled by Apeda showed UAE topped the list in India’s mango exports contributing to $25.6 million followed by United Kingdom at $7.4 million in 2017-18. According to industry sources, pre-season shipment of premium varieties of mango has started already with several consignments have already been dispatched. The realisation of Indian mango this season has been higher this year than last year. Indian exporters, however, cast doubt on mango availability this season as well due to lower output across the country. “Seasonal variety of mango is currently under flowering stage. But looking at flowers spread in few of trees, we forecast India’s overall mango output to remain substantially lower this year,” said Insram Ali, President, Mango Grower Association of India. Experts, however, forecast India’s mango output to remain lower by a staggering 10-15 per cent on even higher. But much would depend on the behaviour of the climate during the growth of mango fruits. Meanwhile, the agriculture ministry in its First Advanced Estimate forecast mango output to rise to 22.35 million tonnes for the 2018-19 season, up from 21.82 million tonnes in the previous year. The ministry has also estimated total area under mango cultivation to rise to 2.3 million hectare (ha) for 2018-19 from 2.26 million ha in the previous year. 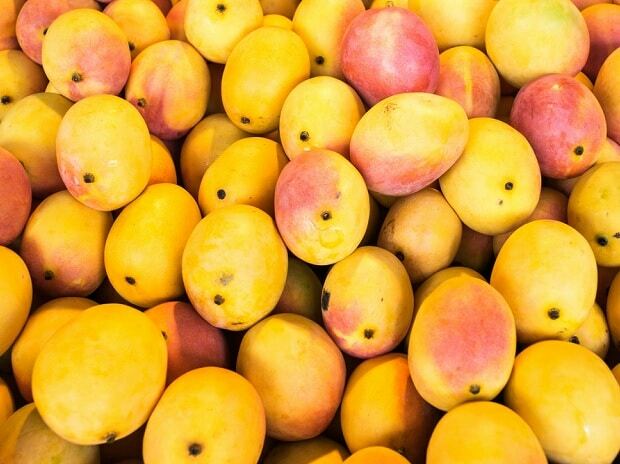 South Korea and Serbia have allowed market access for India’s mango exports. Mango importers in Japan have already inspected Indian processing plants including pack houses, vapour heat treatment (VHT) facilities and other units in the export value chain to import mango from registered plants.